WebMOBI has recently developed the mobile app for 6th Emirates International Urological Conference (EUSC 2017) organized by Emirates Urological Society in association with the 28th World Congress on Video-urology & Advances in Clinical Urology. The Annual Association Conference is taking place in Abu Dhabi, UAE, Nov 9-11, 2017. Emirates International Urological Conference (EUSC) is the annual meeting of Emirates Urological Society, which has grown to be one of the most important urology conferences in UAE. The EUSC 2017 scientific committee is developing a vibrant educational program, featuring a highly reputed faculty of international and local speakers over the three days of scientific and networking events, forums, debates, and various workshops from leading experts in the field. The 28th World Congress on Video-urology & Advances in Clinical Urology is the annual meeting of The Endourological Society, taking place in Abu Dhabi, Nov 9-11 with EUSC 2017. The program includes respected international and local faculty with practical information to significantly enhance the practice of most common urologic conditions. High-quality videos and panel discussions will be interactive with audience participation. 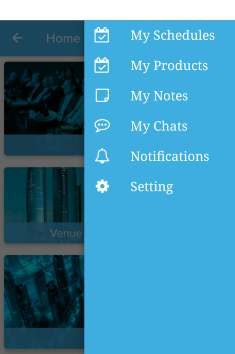 The societies wanted intuitive and straightforward mobile applications for their association meeting, to guide their attendees about the venue and provide them enough information about the event, agenda, venue, delegates, speakers, and sponsors, along with an ability for attendees to be able to interact with the organizers and other attendees. We have created a white label event app, which provides rock-solid features and very intuitive user interface. Here is the download link to EUSC 2017 App – iOS | Android. In the home screen, modules can be found, which provide quick access to the most important information like Agenda, Venue, Speakers List and About as well as countdown timer reminding users about the date. Agenda: It provides details about each event, especially the time an event is taking place. About Us: Information about the societies and the conference. Speakers: List of speakers with little information about them. Venue: Location the conference (which is Jumeirah Etihad Towers Hotel, Abu Dhabi) with a map to help attendees find the way to get there. Sponsors: Lists of sponsors are displayed here. Attendees: This feature allows users find all other attendees and chat with them and invite for meetings. Social Media: Provides social media handles and networks of the societies to follow any updated. Contact Us: This feature allows attendees to send messages to the organizers. My Schedule: Users can choose any event to attend from the agenda of the conference, those will be available here. My Products: Same users can fav any product or exhibitors, and that will be shown here. My Notes: User can take note about any event, in this feature those notes will be available. My Chats: Persona chats between attendees. Notifications: Organisers can send push notifications to anyone and everyone. Those notifications will be available here. We provide mobile app and website solution for events and exhibitions, if you need to make your event an amazing experience for your attendees, we will help you do that. Contact us or try a demo app!